Summer is just around the corner. It is time to get your home ready for the hotter months ahead. Below is a checklist of things to do in your home to prepare for summer. 1. Open windows on warm spring days. Let the fresh air flow through your home and let natural light fill as many living spaces as possible. Open curtains and blinds. The sun’s ultraviolet rays will do more than fill the home with cheer. They are lethal to many harmful bacteria that may have found their way into your home throughout the winter. 2. Pull the refrigerator away from the wall. Vacuum the coils carefully sucking out dust and anything else that found its way behind or under the refrigerator. 3. Take some time to wipe down, dust or clean space heaters. Check electric chords and plugs to make sure they are still in good condition. Store units that are in good working condition for next year. 4. Now is the time to prepare the furnace for the off season and get ready for next season. Inspect the furnace filter and change it if it is dark and dirty. Vacuum openings and grilles at the heating vents, registers and ducts. 5. Before cranking up the air conditioner change or clean the filter. Remove the pan from the bottom of the unit and clean and replace it. Trim shrubs surrounding the unit allowing for proper ventilation. 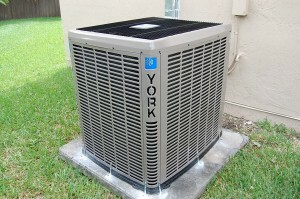 High Performance HVCA provides maintenance services, see the Trane Air Conditioner Reviews. 6. Make the transition from winter to summer by having your furnace and air conditioner serviced by a professional. Make an appointment early to avoid the summer rush and have a better choice of appointment days and times. 7. Clean the windows, window coverings and trim inside and out. Start by brushing away dirt with a soft-bristle, dry broom. Then get down to business washing each window with a rag or sponge and warm, soapy water. Don’t forget to remove and wash curtains or dust the blinds. 8. Clean and repair windows screens. Remove the screens for the windows. Brush off dust with a rag or clean, dry paintbrush. Then, gently scrub each screen with a soft-bristle brush and warm, soapy water. Rinse the screens with the hose. Check for rips and tears in the screens. Many can be mended with a needle and thread. Replace the entire screen for those that cannot be easily mended. 9. Check hoses, sprinklers and other irrigation systems. The freezing and thawing of winter can crack pipes and hoses so turn on the water and see how your watering system is working before the temperatures rise and you need to use it. Check for leaks, puddles of water, breaks in the lines and hoses, and broken sprinklers and clogged sprinkler heads. Repair or replace what needs to be fixed before you have to worry about your grass and other landscaping turning brown in the heat of summer. 10. Examine the outside of your home. Trim trees and shrubs that may be touching the siding or brick, windows or trim. Experts recommend maintaining a distance of at least two feet between the home and plants to keep damaging insects and moisture away from the home. You may even consider power washing the exterior of your home to remove dust, mud, mildew and debris. If you find cracking, peeling or blistering paint, move quickly to repaint yourself or schedule a new paint job. Summer is quickly approaching so take some time to prepare your home for the rising temperatures ahead.